Looking for Personal Reference Letter or Personal Letter of Recommendation samples, examples, and templates, if yes, then this is the right place. This page is loaded with Personal Reference Letter samples and templates. A total of two samples in written form and five downloadable templates are shared here. 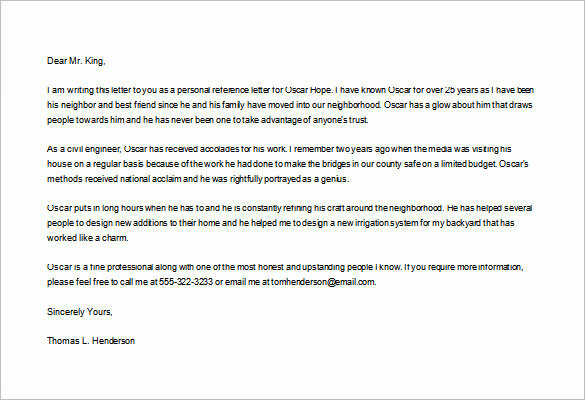 Pick any Personal Reference Letter template to make your own Personal Reference Letter. It’s not hard to make a recommendation letter, but you need to be careful with the format and layout. That’s why it is advised to check out the samples written by professionals. 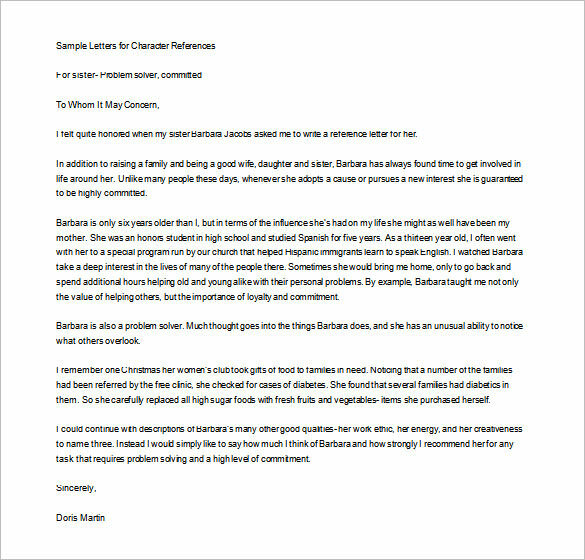 Take reference from these samples to make your own personal reference letter. It’s advantageous to have a personal letter of recommendation when you are applying for an internship, a new job, or even seeking to gain admission to a school. 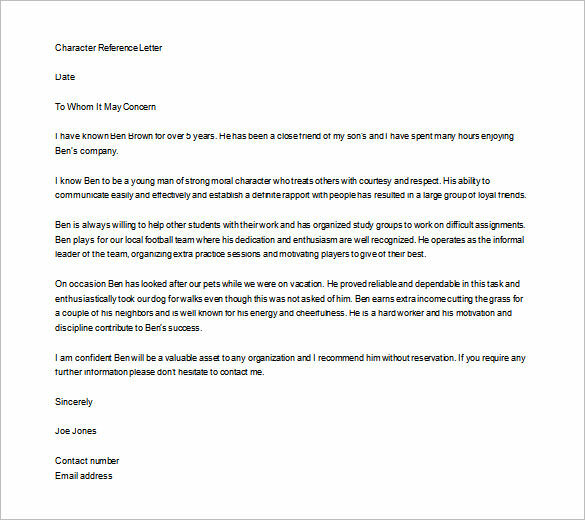 The personal Job recommendation letter vouch for person character in addition to the professional skills or abilities. 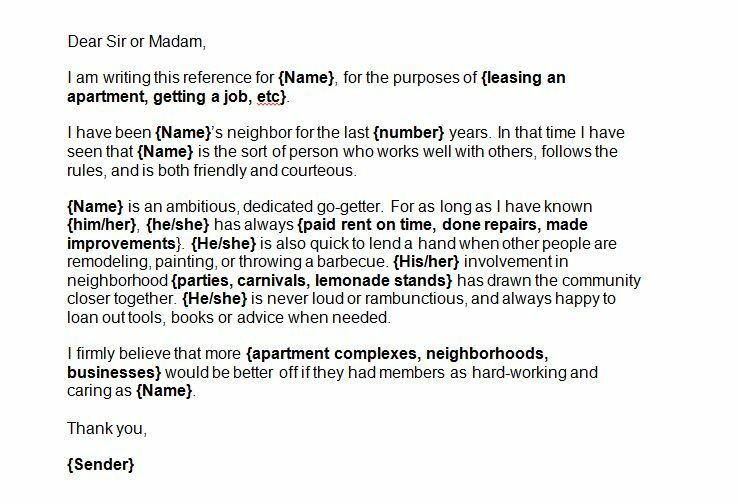 This letter serves to vouch for the character of ________________ I worked with him for two years at ABC Company, where he joined as a junior engineer under my assistance. _________________ is one of the hardworking and passionate person I have ever met. He has always been generous and kind which highly speaks to his/her character. He was always helpful to other employees and always ready to lend a hand of support whenever required. I know his family very well, he has two lovely kids. Four years later, when he left the company for another job, he had risen through the ranks to become a Senior Technical Lead. I don’t see _____________ as much now since we both are working at different places. However, we met at the office get together and social functions. It was always a pleasure to have ______________ in the office. He is a friendly, high-energy individual with a great sense of humor. I trust him. I highly recommend [Person’s Name] for the job position that is vacant in [Company Name]. I’ve Known[Person’s Name] for a long time now. He is very experienced in the field of accounting and was employed with us for the period from 2008 to 2017. During these nine years with us, he was fully committed to his work. Always displayed an excellent level of dedication, reliability, and honesty. Apart from work, he is a great human being as well. Always ready to help other people, whenever needed. I can confirm that he is a man of great principles, is extremely dedicated, and quick to volunteer or assist in other areas of operations as well. Surely, he will be a great asset to your company. In my experience[Person’s Name] has proven himself to be an honest, hard-working young man who loves his family. I trust him. If you wish to know more or have any questions, please feel free to contact me. We hope that these templates and samples of Personal Reference Letter are useful and serve their purpose well. If you like the content available here then why not share with other people as well who might be seeking the Personal Reference Letter. Leave a comment below if you want to communicate with us. Keep on checking this space for more and more reference letters or letter of recommendation samples in other categories, formats, and layouts.